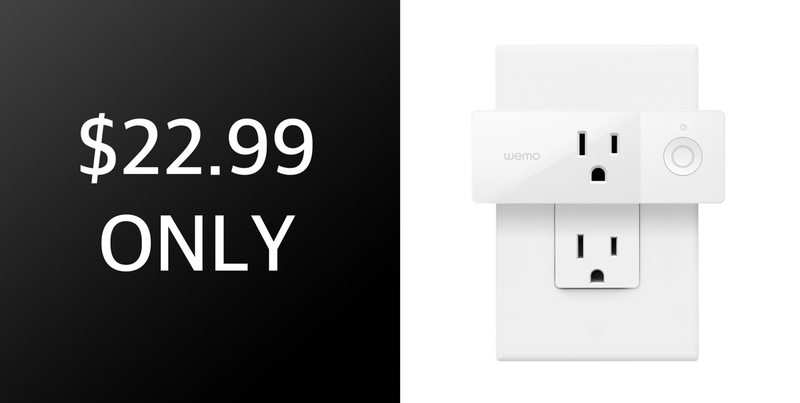 This handy little Wemo Mini Smart Plug has the ability to inject any plug-in appliance in the home with a little bit of modern intelligence. Access and monitor your appliances from anywhere in the world with an outlay of just $22.99. The advent of intelligent home automation solutions is upon us. To fight it or to push against it would simply be futile. It’s going to happen and our homes are going to become more and more intelligent as time progresses. So, with that in mind, you may as well take advantage of deals like these which give you the ability to bring that smart home technology into your property without having to pay the highest recommended retail price. 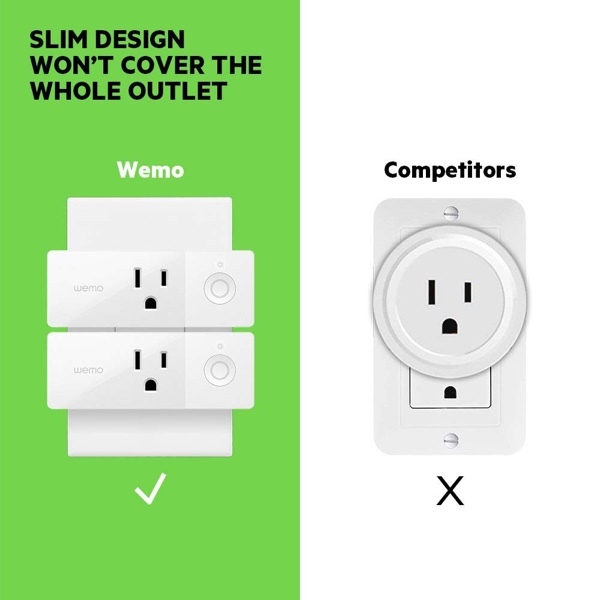 This gorgeous Wemo plug is small enough to slot into existing sockets in the home without causing a fuss. It isn’t going to intrude or block other operations from taking place and it’s lightweight and small enough that it isn’t going to be an eyesore or unsightly. And, when it is in place, it will open up a whole new world of possibilities for hardware that you thought was “dumb” or which you believed couldn’t be interacted with via a smartphone. If you want to be able to control your TV’s operation from a hotel on the other side of the world, then this is the smart plug that you need. If you want a standard lamp in your home to be connected to the internet so you can turn it on and off with a single press of a button within an app, then this is the smart plug that you need. If you want to be able to give a single voice command to Alexa, Assistant, or even Siri and have your appliances controlled via voice, then yes, you guessed it, this is the smart plug that you need. It supports all of the major voice platforms that make it extremely easy to control everything via voice and when you consider this price it seems like a crazy good deal. Grab it right now from the direct product link below to grab it at this price.